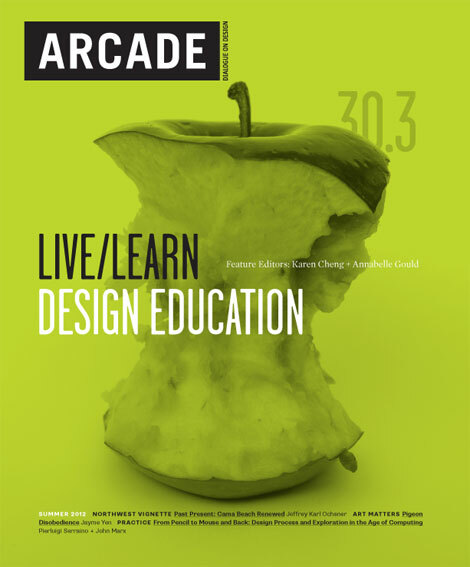 Visual Communication Design Associate Professors Karen Cheng and Annabelle Gould recently co-designed and co-edited ARCADE 30.3. 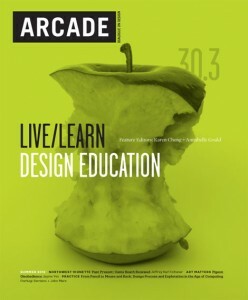 This is the summer 2012 issue of a quarterly magazine published by the Northwest Architectural League, which is a non-profit educational organization. The launch party for the issue was on Friday, 08 June 2012. 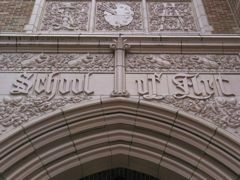 All the articles are posted online over a two-month period, and printed copies are available at several venues. In addition to designing and editing, Cheng wrote an article titled “How to Survive Critique: A Guide to Giving and Receiving Feedback” and Gould wrote an article titled “What We Don’t Teach–but Should.” Industrial Design Assistant Professor Magnus Feil contributed an article titled “Push Pull Twist.” Brian Boram (BFA 1987) also contributed, with an article titled “Agents of Change: Design Thinking for K-12.” Photos of the issue, shot by Design Division student Sam Cook, have been posted on the ARCADE Facebook page.